Welcome to Day 7 of the 12 Days of Holiday Inspiration Blog Event brought to you by "The Inspiration Crew"! 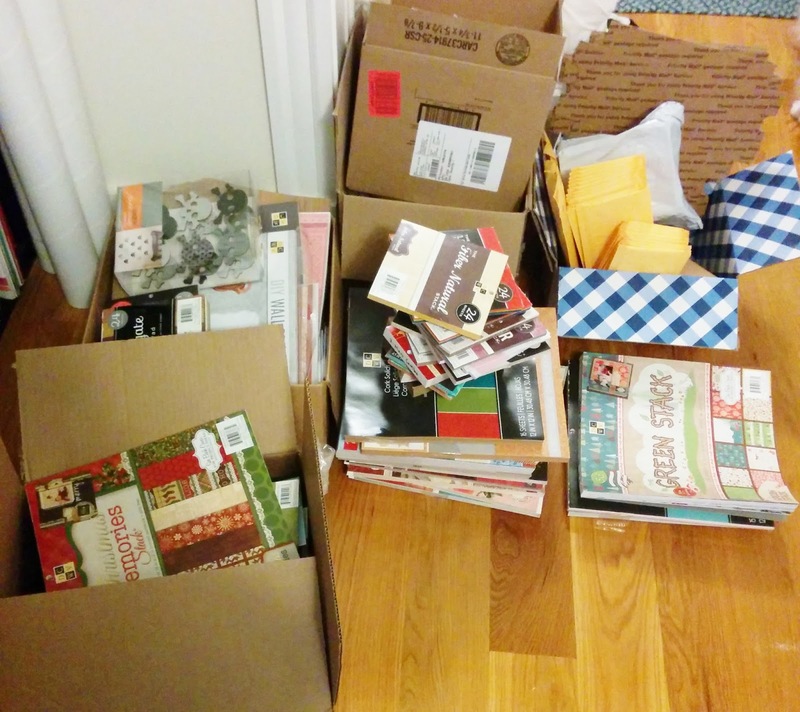 We’re just a group of online crafty blog friends who love being creative. This time we're doing a 12-day event to provide you with tons of Holiday Inspiration. Happy Yeti! It's probably been a whole year since I've busted out this adorable yeti (why? I don't know) and he is just ready to celebrate. 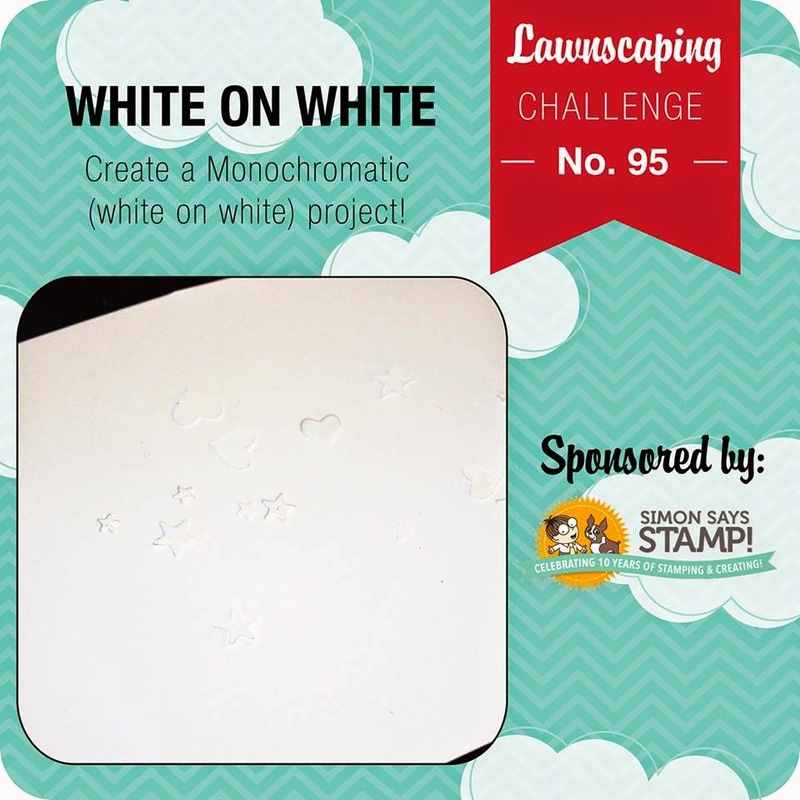 I created this scene for the Lawnscaping White on White challenge as well as the Simon Says Stamp Holidays challenge. To break up all the white, I made sure to use a lot of different textures. The yeti is paper piece from DCWV Flocked paper (so he's actually fuzzy to the touch! ), the hills are die cut from DCWV white glitter card stock, and the background is DCWV Embossed White Cardstock. I used chunky Buffalo Snow to cover the trees and the little ice block. The Lawn Fawn products I used are "Stitched Hills Die", "Forest Border Die", "Yeti Set Go", "Snow Day", and "Critters in the Arctic". HELP ME GET RID OF ALL THIS FREE STUFF! Cute! This is such a fun card! I like the wintery scene you created. What a cool & fun yeti card, Rachel. Cute card - love all the texture and the cute little Yeti. Oh my gosh, that little Yeti made from flocked paper is so clever! I just love this cute winter scene. I like all the textures. luvin the white on white and the glittery flock is precious! I am thrilled you played along with Simon Says Stamp Wednesday Challenge! the snow monster is way too cute!!! such a cute yeti!! lovely!! Amazing! I love this scene, and the yeti is one of my favorite Lawn Fawn stamps! Thanks so much for playing the Lawnscaping Challenge! So cute and amazing! Love all the texture and the overall design of this sweet scene!! The glitter cardstock just makes this card such a nice snowy scene. Cute yeti, too! OMGoodness! Too cute! Thank you for linking up to Paper Issues current Link Party, "Say it Ain't Snow Cold Outside!"